Diana B. Kahn, CFP®, President of The Financial Pharmacist, Inc., is licensed by the CFP® Board of Examiners and is a Registered Investment Advisor with the State of Florida. 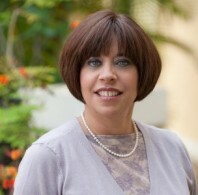 Diana Kahn founded The Financial Pharmacist, Inc., a fee only financial consulting and coaching firm, in 1997. The core principle of The Financial Pharmacist, Inc., is that solid, objective financial planning advice should be accessible to everyone, regardless of income or asset level. Formerly with Evensky, Brown and Katz of Coral Gables, Florida. Ms. Kahn has been featured and quoted widely in the media, including WPLG Channel 10 Evening News, Money Magazine, The Miami Herald, The Boston Herald, Financial Planning Magazine and others. Ms. Kahn has also been a frequent speaker to nonprofit organizations on subjects related to personal finance. She is a graduate of The University of Michigan, with an MBA from George Washington University and a CFP from the College for Financial Planning.